Domain name is approx. $20-40 each for two years, including domain privacy. Domain hosting is US$144* for 2 years. Domain hosting needs to be paid for independently to the cost of building a website. Whether you have a basic or fancy website, and similar to buying domain names, domain hosting is renewed every 2 years. Please note: Registering a domain requires a valid ABN, ACN or BRN. Starter Package: $400. Includes up to 3 pages. Includes labour (research, purchases, setup, admin, initial build, SEO* and editing time). Includes 3 edits. The more information you can provide me initially, the less edits will be required. Major edits beyond 3 (excluding typos, etc) are charged at my standard hourly rate. Further pages are charged at $80 per page. This does not include a shopping cart. *SEO - Search Engine Optimisation. Websites are built on the Weebly platform. Wordpress is not supported - mainly due to it's ongoing security issues. Ongoing Maintenance is charged at an hourly rate. Billing arrangements will be discussed upon agreement. Social networking: Facebook, Twitter, Google+, etc setup and/or management is charged at my standard hourly rate. YouTube: Setup, training, uploads, etc is charged at my standard hourly rate. Self Admin: Training is charged at my standard hourly rate. 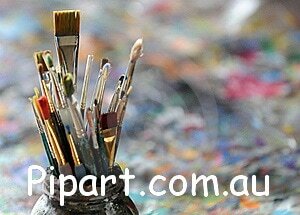 To successfully build your website I will need a range of information from you. The more information you can provide initially, the quicker it will be for me to build the website, get it up on the internet and fewer edits will be required. A form will be provided for you to complete once you have agreed to proceed.